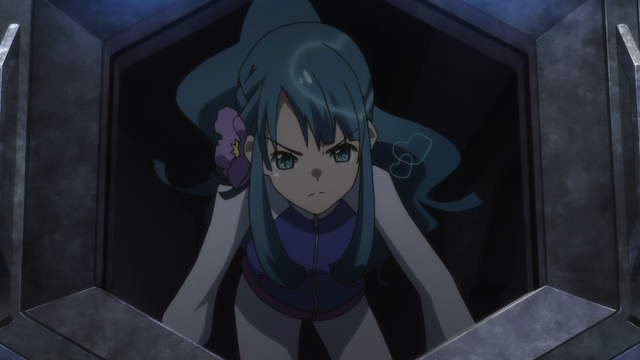 AKB0048 episode 3 puts our idol hopefuls through the wringer. They expect to spend their time singing and dancing, but end up fighting to protect the hopes and dreams of those who want to see AKB0048 perform. As one might expect, the themes of hard work, dedicating one’s self to a cause, and banding together are key drivers. Do we believe in the future? 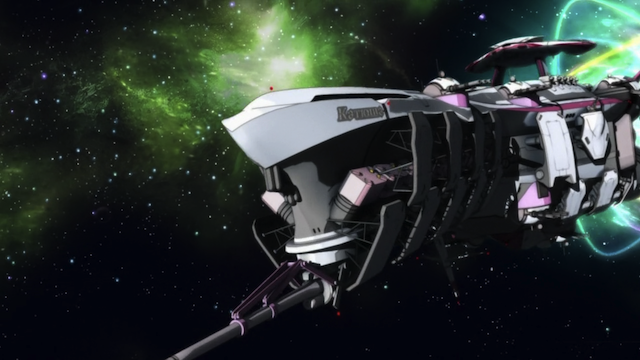 With this third episode AKB0048 is starting to set up a more predictable rhythm, in the sense that we reliably are seeing a mix of several elements: Science Fiction, Action, and Idol. The view of the future is a bit grim; most worlds seem to be dystopic, and entertainment ban, though not universal, is effective on many planets. Every episode has featured a significant action sequence. Finally actual AKB48 numbers are worked into the show as performances, typically as backdrop to the action sequences. The idol element also includes the themes of working hard towards your dream, entertainment offering hope to those who have little else, and working together as a team. There’s a difference between fighting and letting others know how you feel. The understudy candidates are put to a test that includes weapons and hand-to-hand combat training. They must protect the AKB0048 members as they perform. Most of those gathered have no interest in doing anything that isn’t glamorous, but Chieri shows herself to be dedicated, even if it leads to difficulties fitting in with the group. 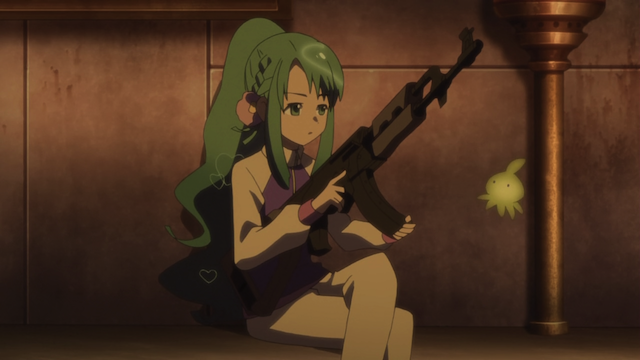 My tendency is to take things rather seriously, so I am prone to think well of Chieri in this situation. I have learned, however, that groups don’t function that way. Research in Social Psychology has shown that groups spend their time in two types of activities: Task Performance and Group Maintenance. I was shocked to learn that the majority of time spent by even task-oriented groups (such as project teams) is spent on Group Maintenance, not Task Performance. This actually fits into the show’s theme of the importance of working together. Fighting with weapons only brings pain and hatred. This episode explored group cohesion beyond the syrupy “doing it for my friends” level one might expect. 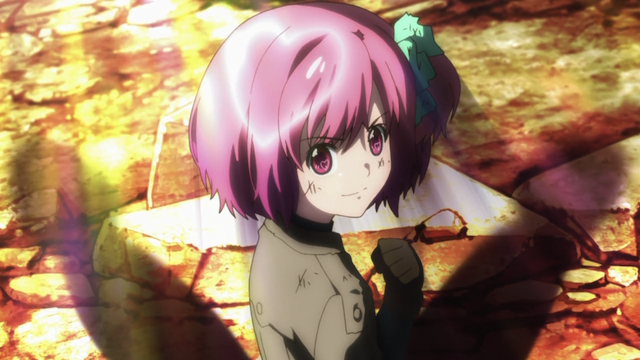 Nagisa is upset to see AKB0048 members “fighting” amongst themselves. As they explain to her, it is also important to honestly express what you are feeling, and to hold others in the group accountable. At any rate, the main girls we have come to know survived the first test, though many others didn’t. This was a test of the girl’s courage and their willingness to commit to something bigger than themselves. 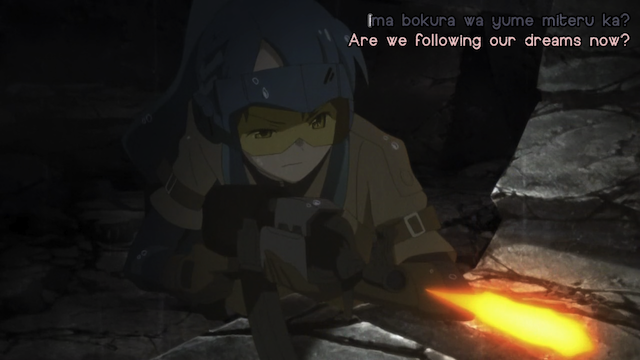 The battle took place as AKB0048 sang Beginner, and it was pretty interesting to see the lyrics juxtaposed with the desperate actions of the candidates on the battlefield. 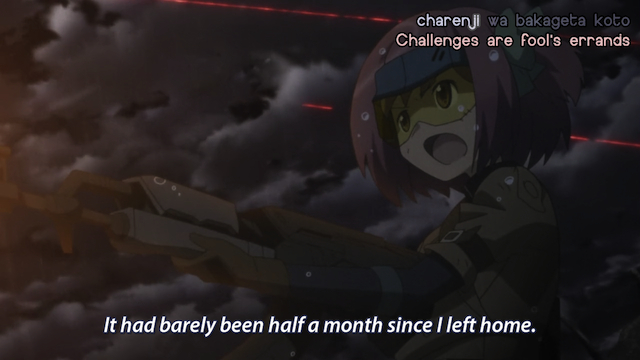 Chieri – the Task Performer. Nagisa – the Group Maintainer. I remember a recent Newtype article kinda hinted that Nagisa and Chieri will become Acchan’s and Takamina’s respective successors. But now that I think about it if this happens their roles would get reversed. I mean, Takamina is the captain and leader of AKB, so she’s the Group Maintainer, whereas Acchan is the center, the main figure on stage, so she would be the Task Performer. I suppose if this does happen, it would add and interesting twist into their group dynamic, don’t you think? At the very least, it would be interesting to see Chieri looking out for her team mates and be responsible of the group’s cohesion. In fact, getting that responsibility might be exactly what she needs to grow, both as an idol and as a person. Yes, a role reversal like that would mean interesting developments for both girls.